State-owned Saudi Aramco is the world’s most profitable firm, eclipsing global heavyweights like Apple and Samsung, according to new data revealed ahead of a major bond issuance. Saudi Aramco’s earnings last year before interests, taxes, and depreciation stands at $224 billion, almost three times as much as Apple. Net income last year was $111.1 billion. The revelation of the data is the first real glimpse by outsiders at the finances of Aramco in decades. The company is planning a road show to drum up interest in a bond sale. 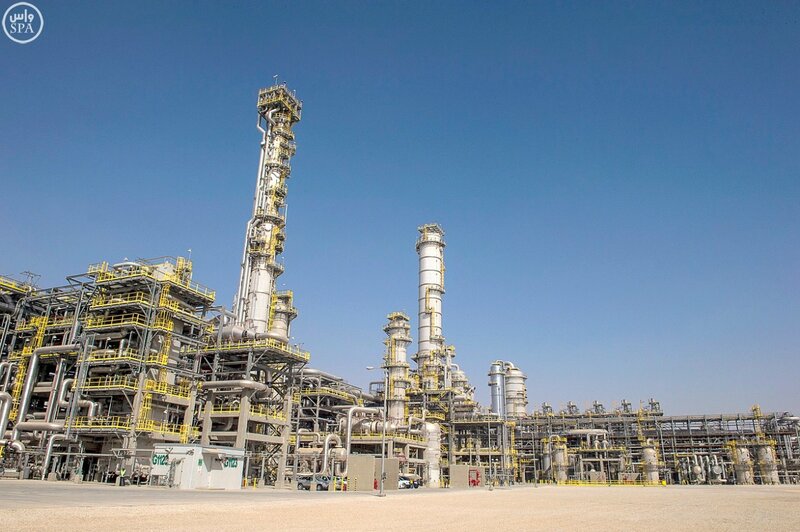 Saudi Aramco’s earnings have been revealed for the first time in decades. Both Fitch Ratings and Moody’s Investors Service gave Aramco the fifth-highest investment grade, A+, “the same as Saudi sovereign debt, but lower than oil majors Exxon, Shell and Chevron Corp.,” Bloomberg notes. “Accounts published before the firm’s debut in the international bond market also show Aramco — an organization that produces about 10 percent of the world’s crude — doesn’t generate as much cash per barrel as other leading oil companies like Royal Dutch Shell Plc because of a heavy tax burden,” according to Bloomberg. Saudi energy minister Khalid al-Falih said earlier this year the planned bond sale would raise around $10 billion. The full document and prospectus of Saudi Aramco’s is available here.